Did You Know? With eleven awards, Ben-Hur set the record for the most Oscars won by a single film. No other film has surpassed it, though two have equaled it: Titanic in 1997 and The Lord of the Rings: The Return of the King in 2003. Quotables: TIBERIUS CAESAR: You are the people’s one true God. For now. 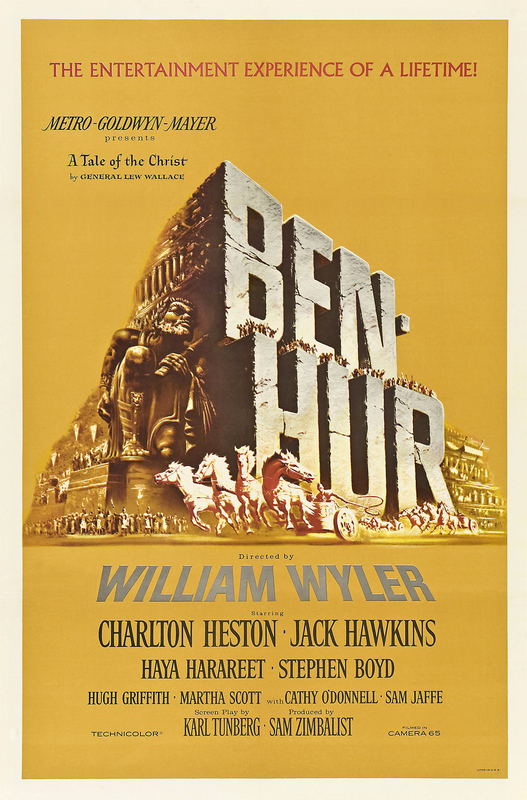 Ben-Hur is one of my all-time favourite films. This marks only the third time I’ve seen it, and I love it still. A couple of years ago, I had the opportunity to see it on the big screen at a local theatre. I feel I should preface that I am not a remotely religious person; in fact, I consider myself to be atheist. But Ben-Hur is such an epic and powerful film. Seeing it on the big screen, the way it was meant to be seen, was nothing short of breathtaking. They even had an intermission! So it made me feel like I was watching it when it was first released. It’s such a wonderfully beautiful film, with stunning and spectacular cinematography. Truly and unequivocally a masterpiece.